Camouflage is back in style! 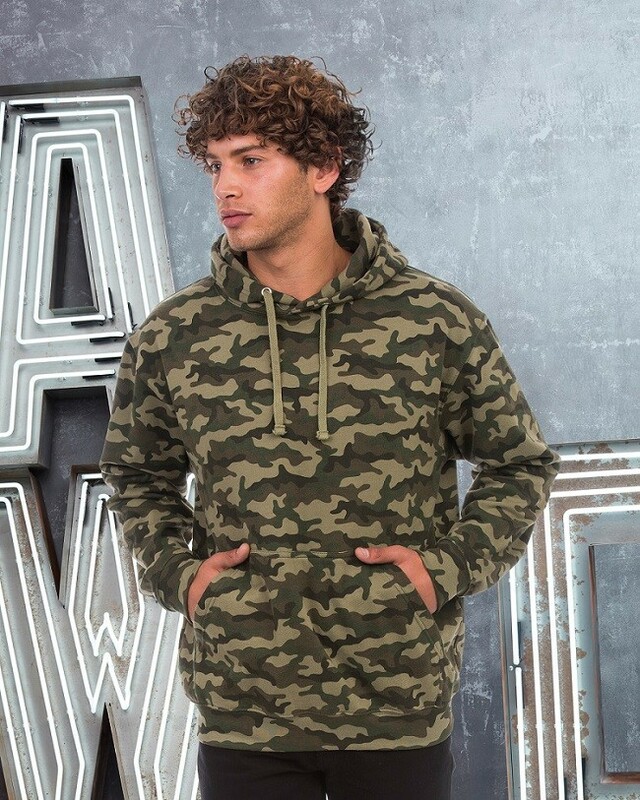 This overhead camo AWDis hoodie is bang on trend, so what you waiting for? The soft cotton fabric is the ideal printing surface, it’s just waiting for you to put your stamp on it. There’s a simple tear out label which is perfect for you to rebrand. 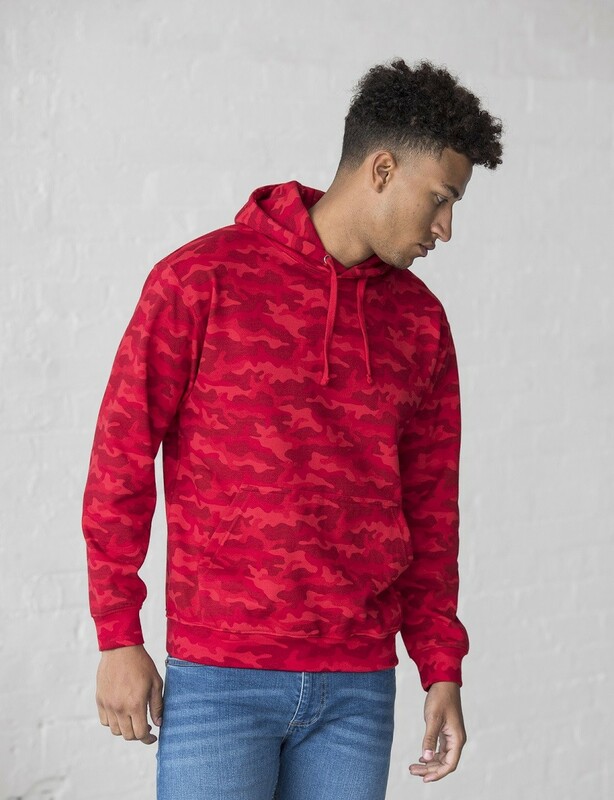 The 80% cotton blend, double fabric hood and ribbed cuffs/hem, make this hoodie a soft and comfortable fit. 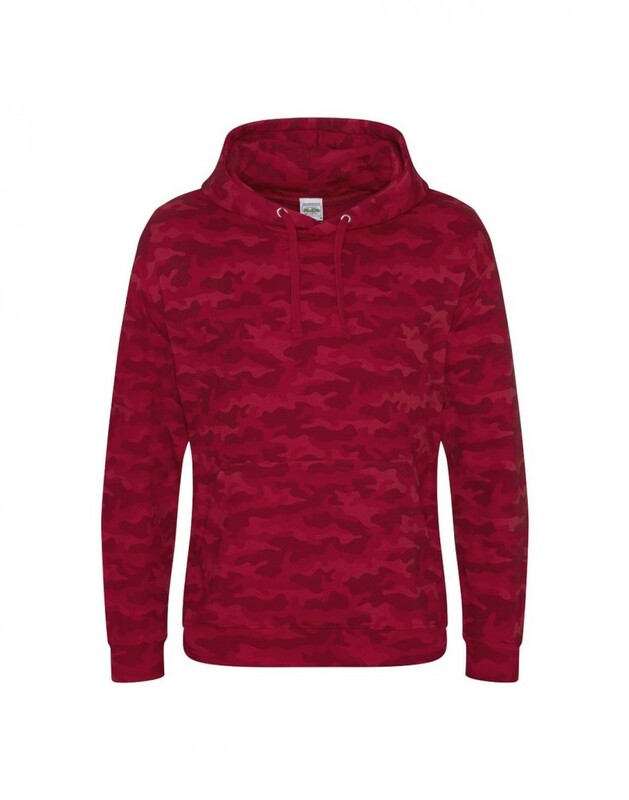 The hoodie can be worn all year round too, due to its medium weight fabric. 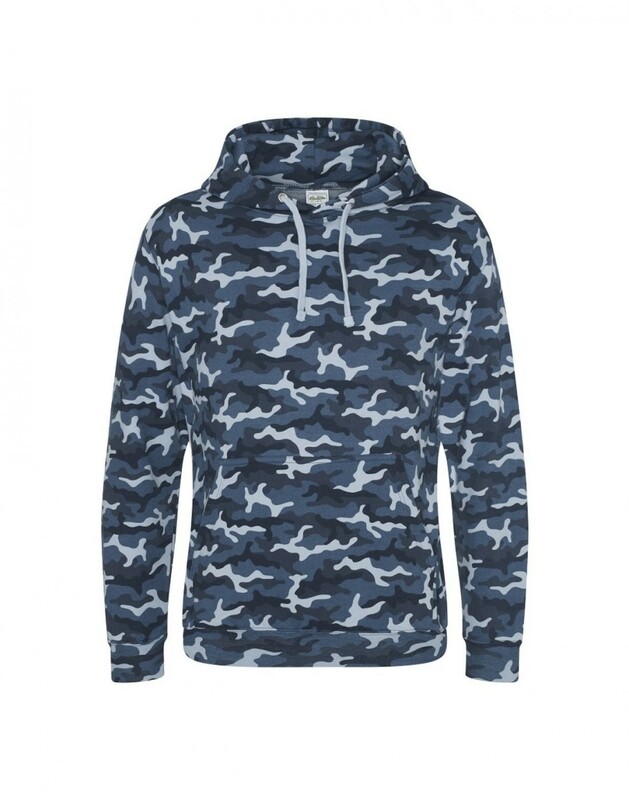 A great addition to your casual wardrobe. It’s also super practical for music lovers as it has hidden earphone loops. The kangaroo pouch pocket also contains an opening for an earphone cord. Comes in four colours. Our personal favourite is grey camo.